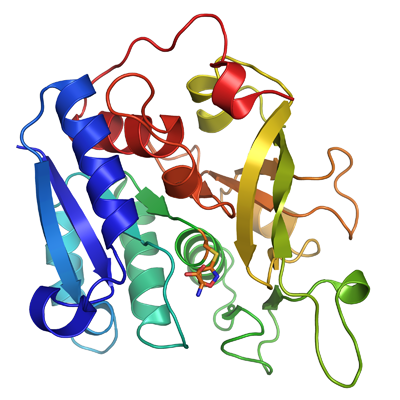 CCP4i2 is a graphical interface to the series of crystallography programmes that are included within the CCP4 package and provides a complete set of pipelines that can be used to determine protein crystal structures from x-ray diffraction data. If you want to solve protein structures with ccp4i2 the first step is to obtain a copy of latest release of CCP4, which includes both the original graphical interface ccp4i and the new ccp4i2 interface. CCP4 is available for Windows, Linux and Mac and copies can be obtained from the main CCP4 webpage. It should be noted that commercial users of CCP4 will need to buy a license, and should consult the commercial use section if one is needed. To help get started with using ccp4i2, Kevin Cowtan, of the University of York has produced a short video which details the basics of how to start a project and illustrates how to run a straightforward Refmac job in ccp4i2. Together with the documentation this should provide a good introduction to using ccp4i2. A set of examples has been included with ccp4i2 and these should help users acquaint themselves with using the available tasks in ccp4i2 to determine protein crystal structures in a variety of situations. These examples cover a series of structures that have been solved using either experimental methods (principly SAD) and Molecular Replacement. These examples can be accessed either directly from the ccp4i2 browser, or from here. It is recommended that users start with the Gamma-Adaptin and Beta Lactamase/BLIP examples as both are straightforward to solve using ccp4i2, and demonstrate how to solve protein structures using experimental methods and molecular replacement with ccp4i2. At present the code for the released version of ccp4i2 is located in the share/ccp4i2 area of the cpp4 release, and is written in Python 2 and QT4. The 7.0 branch of the code is version controlled and can be accessed using bzr.